“Get your hankies out,” warned Michele Krisel, Artistic Director of the Ash Lawn Opera, at the end of her curtain speech Sunday afternoon. 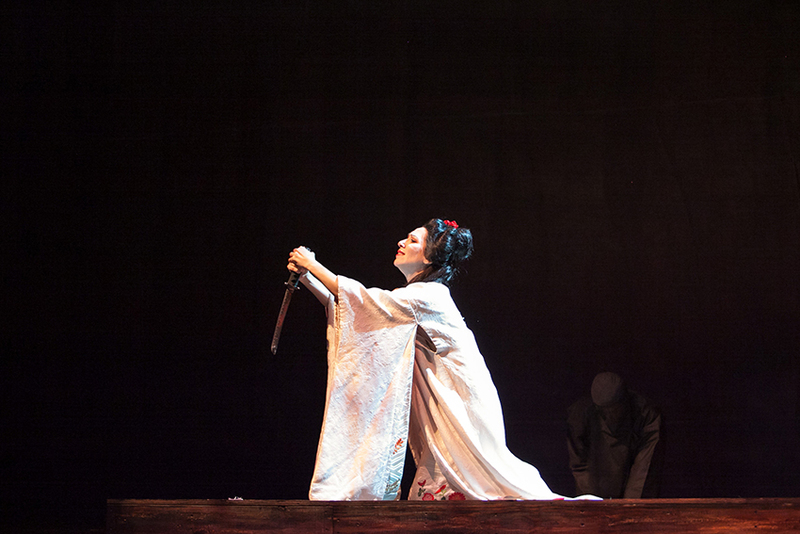 “It is never too early to start crying during Madama Butterfly.” And she was right. By the last ten minutes of the performance sniffles could be heard from all over the audience (including several from yours truly). Krisel also knows how to cast a show to optimal effect. Pinkerton as played by Jason Slayden is just the kind of handsome devil that could break any girl’s heart. But the star of this show is clearly Eleni Calenos who plays Butterfly. Calenos puts forth a beautiful voice and a heart piercing dramatic performance as the naively trusting girl. She had the audience in the palm of her hand in her final tragic aria, To Die With Honor. If you go, remember to bring tissues. It is a truly beautiful tragic tale.